In the spring of 2005, cardiologist Barbara Natterson-Horowitz was called to consult on an unusual patient: an Emperor tamarin at the Los Angeles Zoo. While examining the tiny monkey’s sick heart, she learned that wild animals can die of a form of cardiac arrest brought on by extreme emotional stress. It was a syndrome identical to a human condition but one that veterinarians called by a different name—and treated in innovative ways. 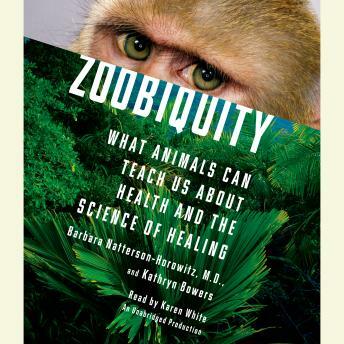 Zoobiquity explores how animal and human commonality can be used to diagnose, treat, and heal patients of all species. Both authoritative and accessible, offering cutting-edge research through captivating narratives, this provocative book encourages us to see our essential connection to all living beings.